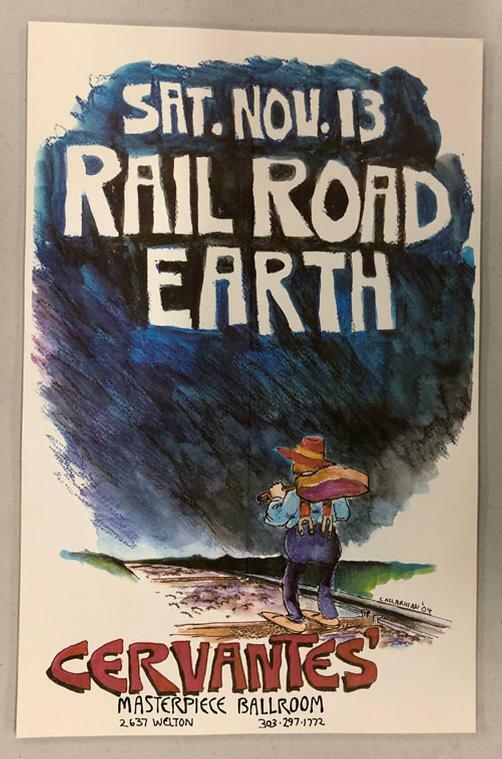 Original concert poster for Railroad Earth at Cervantes in Denver, CO in 2004. 11 x 17 inches on card stock. Light handling marks. Artwork by Don Callarman.